Over the course of years, the fashion world has groomed a lot with more and more styles of dresses and accessories helping people look more stylish and modish with time. Some styles of dresses change according to the fashion trends which keep on switching periodically while some are evergreen. For example the fashion of wearing frocks started back in the ancient times and is still very common round the globe. Indian, Pakistani, American and English girls love wearing long tailed frocks which gives an extraordinary look, just like dolls and princesses. Frocks further have many styles like umbrella, anarkali, pishwas style, long tailed and jacket styled frocks. 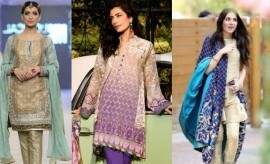 Indian Jacket Style dresses have now become an increasing fashion trend in India and Pakistan. Jacket Style Frocks are the ones having a short, medium or long jacket as a top. These frocks are worn especially in India and Pakistan. 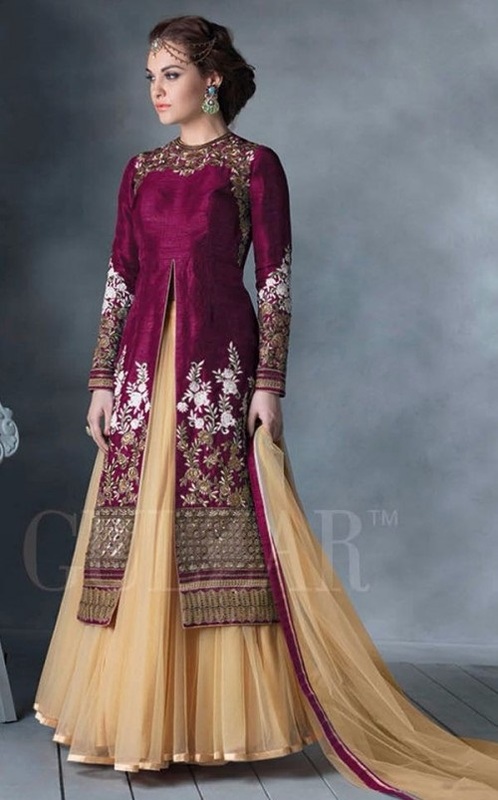 The Pakistani and Indian designers thus bring various designs of jacket style suits and frocks in their collections especially the fancy formal collections. 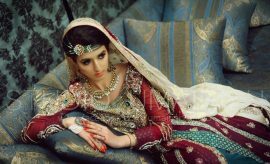 Embroidered fancy bridal frocks are also worn as bridal wear by brides on their wedding functions especially on the mehndi ceremonies. 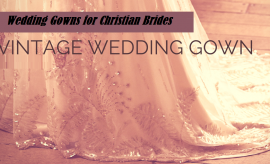 Girls also wear frocks as a major functional dress on functions and events. 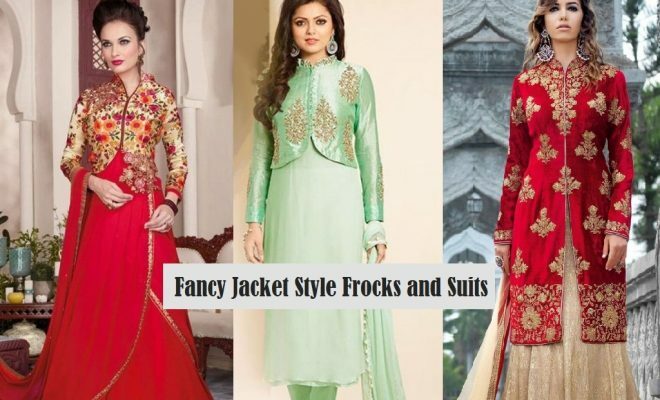 So let us bring you some very stylish and trendy designs of jacket style suits by India’s most popular online designer fashion portal, Ishimaya. Ishimaya is an online Indian designer fashion house which brings best quality trendy Indian outfits for women. It designs kurtis, lehengas, salwar kameez, sarees, palazzo pants and leggings of various trendy styles for girls. Ishimaya is included among the fastest growing fashion portals in India which has dedicated itself in bringing the best to every fashion loving lass around the globe. The following photo gallery unwraps fabulous designs of jacket frocks, shirts and suits for all kinds of events and functions. These frocks by Ishi Maya have been complimented with short embroidered jackets paired with long frocks. This style has been the best known and popular style worn by Asian women since very old times. Frocks with long jackets look adorable and resemble gown style shirts, which themselves are cool party wears. Ishi Maya’s fancy embroidered jacket styled shirts are the perfect party wears. Pick these wonderful outfits and fill up your wardrobes with classy formal attires. Here are some other designs of jacket style shirts which are designed according to latest trends. Have a look at these and design a similar outfit for you by replicating these designs with customization. How were these fancy Indian Jacket Style Dresses? The designs of Indian Jacket Style Dresses that belong to Ishi Maya can be purchased from the Ishimaya.com online store. 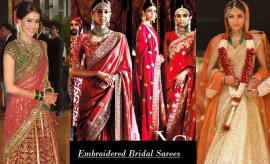 Stay connected with Stylesglamour Indian Fashion Trends to get updates about new fashion and styles of sarees, suits and Indian designer bridal lehengas etc.